On Saturday afternoon Qormi Under 17s began their title defense with an easy win against Floriana. Last weekend Qormi won the preseason festival and this could have influenced the attitude of the team. The performance of the Under 17 was well below the expected level and we saw a lot of individual play rather then team play. Howver the kids stil managed to win easily against Floriana. In fact although creating a large amount of chances Qormi only managed to score 1 goal in the 1st half from Kurt Grixti. In the 2nd half Qormi improved drastically and managed to score another 3 times from Grixti, 1 from Keith Bajada, another one from Jeremy Borg and the last one from UNder 14 player Jacob Galea. With the final result standing at 7-0, Qormi managed this season opener rleatively with a very easy win. Next match will be against Sliema Hs in 2 weeks time. A few days after the end of the Med.Cup hockey 5s and still all the partecipants are talking about the event. 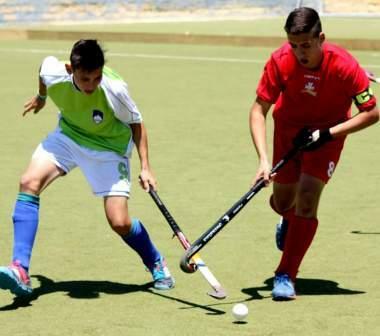 Several milestones has been set during this competition for the Maltese hockey. From this occasion several hockey enthusiast are looking at this activity as the beginning of a better future in the Maltese hockey. The Girls team was a real coop for the Malatese Hockey. Several clubs tried to promote the game within the girls but at the end the results has always been very poor. Also our nursery for some years promoted the game for a Girls only team, which unfortunatly lost the numbers as tme passed.However having the National team set, I am sure that we will be creating better opportunities for the girls. With the competition being an Under 16 competition, Malta has been given the permision to play with some over age players. This was permitted thanks to the EHF in the hope to promote the game in the girls sector and also so that a 4th team will be competing. The team coach was Shawn Mifsud and our nursery was represented with 3 players. These where Bernice Calleja (current Hockey 5s Qormi seniors player), Nicole Zammit and Justine Pace Gasan (Both Qormi Under 14 players). It was also Bernice Calleja to be given the responsability of being the 1st Malta Girls skipper. Another Milestone was the game against Turkey when our girls scored the 1st ever goals for our national team. It was skipper Bernice Calleja to score the 1st goal and Nicole Zammit the 2nd in a 2-8 result game. The Boys team found it hard to adjust to the higher level and had games that gave a good account for themselves while in some other times it was important that they forget the game immedietly.Another milestone was that the 1st ever goal for the Under `16 boys was scored by Qormi player Luke Bajada. 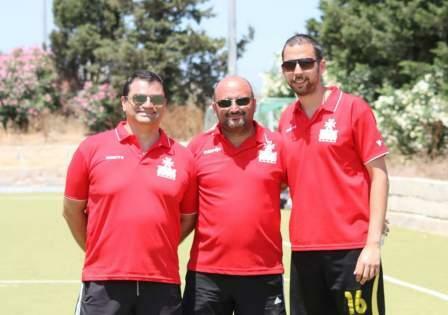 Qormi members where also an important part in the organization of the tournament. With Mr P.Grech and Mr G.DeGiovanni as venue Managers and Mr.S.Bajada and Mr Pace Gasan giving a much needed helping hand. Also Keith Calleja and Zachary DeGiovanni where part of the Table Judges. Hopefully form this tournamnet the Girls and Boys Under 16 team would have the ball rolling for the next opportunity. Mediterrenean Cup on the Way!!!!!!!! The Maltese Boys Under 16 players will be making history during the weekend. 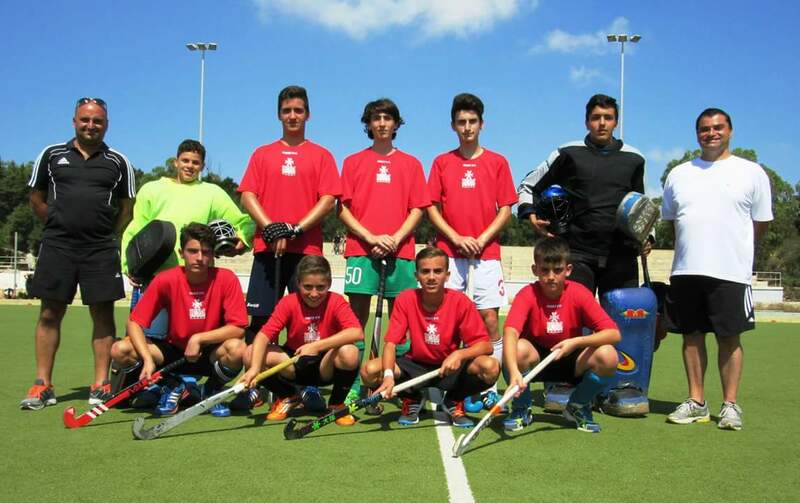 This will be the 1st time in the history of Maltese Hockey that the Malta Under 16 team will be playing an official game agianst another country. 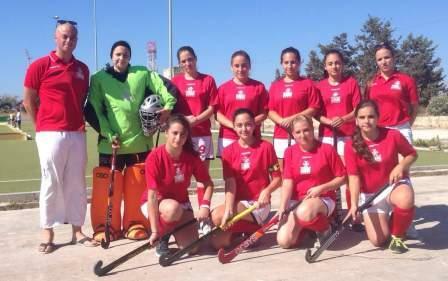 The Mediterrenean cup will be organized in Malta at Kordin Hockey Complex. The games will begin on Saturday 27th and will keep on going till Sunday afternoon. In the Boys category Malta will be facing Turkey, Slovenia and Croatia. During this tournament another History making will be the partecipation of the Girls team. This will be the 1st time that a Girls team will participate representing our Island. The other partecipating teams are Highly rated Italy, Turkey and Croatia. Our club will be represented by another 3 members. These are Bernice Calleja, Justine Pace Gasan and Nicole Zammit. 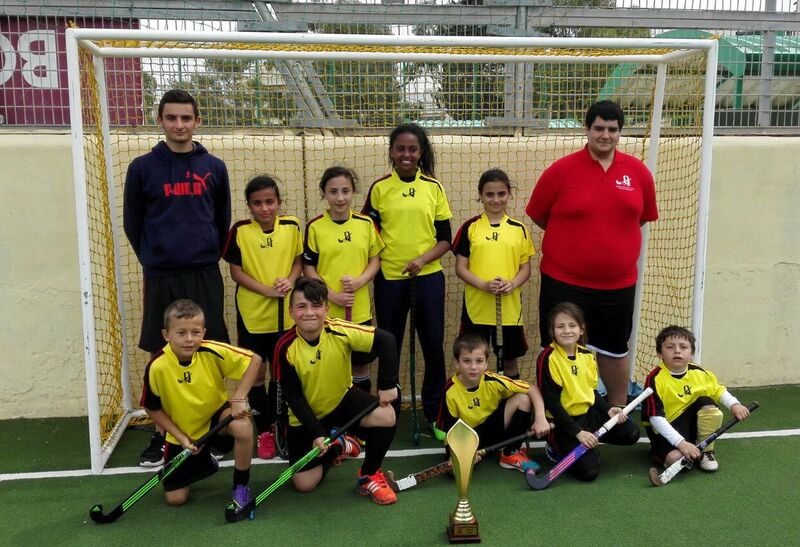 The Qormi Hockey Nursery will be celebrating the end of the season with the Annual Presentation. This year the Nursery won the Under 14 and Under 17 National leagues. While the seniors won the National League , Super Cup, Challenge Cup and the 1st edition of the Hockey 5s. This will be on the 11th July at our Premises in Qormi. On this occasion the awards will be given to those players and members that excelled during the year in several areas, with the most privilaged honor being the Juior Club Award. This year it will also be the occasion to celebrate the players that not only represent our club but also now represent our Nation as part of the National teams. Currently the Club has an impressive 18 players selected in the 3 National selections that will be parteciopating in several tournamnets this summer. Eleven of these being in the Seniors National team, while 3 in the Girls team and 4 in the Under 16 boys. For the occasion, a bar-b-que will be organized. The menu will be published at a later date.